Dark nebulas, or dark clouds in space are intriguing because they appear to be “holes” in the sky where there aren’t any stars. But they really are just blocking our view. Also called absorption nebulas, these dark, smokey clouds of gas and dust block light from the regions of space behind it. This new image from ESO shows a dark cloud called Lupus 3 along with a cluster of brilliant stars. While the dark cloud and the bright cluster of stars appear to be very different, they are in fact closely linked. 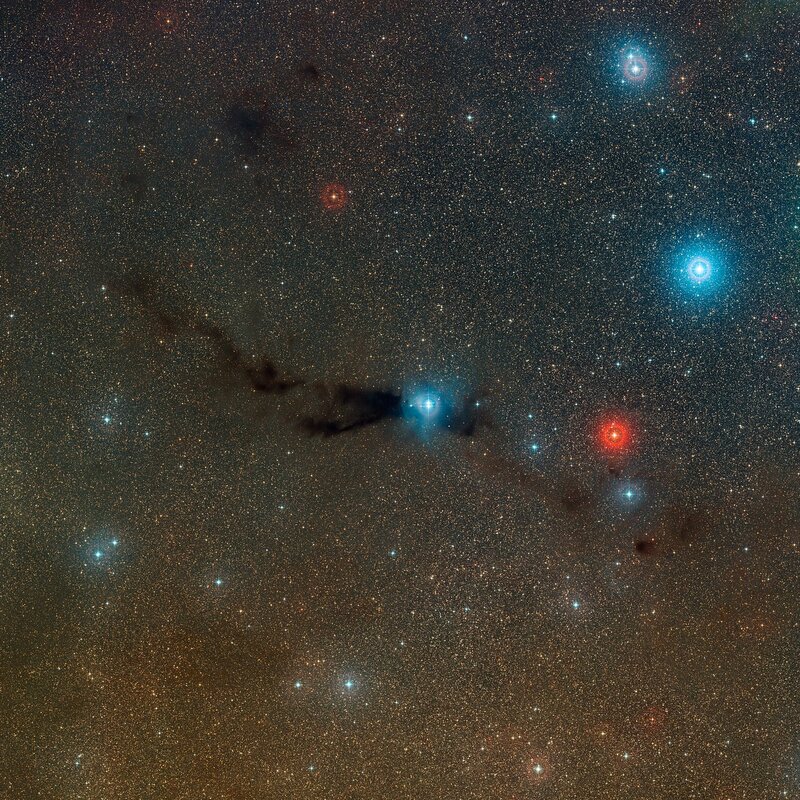 The cloud contains huge amounts of cool cosmic dust and is a nursery where new stars are being born. We likely wouldn’t be able to see the absorption nebula unless it was silhouetted against the much brighter region of space produced by the star cluster, since absorption nebulas do not create their own light. As light from space reaches an absorption nebula it is absorbed by it and does not pass through. It is likely that the Sun formed in a similar star formation region more than four billion years ago. The stars seen here are probably less than one million years old. Lupus 3 lies about 600 light-years from Earth in the constellation of Scorpius. The dark section shown here is about five light-years across. The new picture was taken with the MPG/ESO 2.2-metre telescope at the La Silla Observatory in Chile and is the best image ever taken in visible light of this little-known object. Quite an interesting region of the sky!